My wife and I have been prepping for almost a couple of years now. She is a nephrologist and I am a PA though I am no longer practicing except in the stay-at-home-parent capacity. We have discussed several times how we need to put together a medical kit in our preps but we have some questions about how to do so. She joined an established practice and doesn’t know how to order anything independent of her office and I certainly don’t know either. We would like to order our medical preps discreetly and would also like some ideas on what we should order. Currently we are armed with the basic first aid kit and feel woefully under dressed. Could you suggest for us what to purchase, including medications both oral and IM, and where we could purchase it off-the-radar? Excellent question. Employed physicians not accustomed to ordering their own medical supplies probably don’t have an account with one of the national medical supply houses – though you could do so. My favorites are Henry Schein and Moore Medical, though there are many others. Some will allow non-professionals to order as well, although products requiring a prescription can only be ordered by licensed professionals. Also, it’s surprising what you can find on Amazon and eBay. Urine test strips, diabetic testing supplies without a prescription, Vacutainer tubes and needles, infusions sets, normal saline, suture material, and much more. 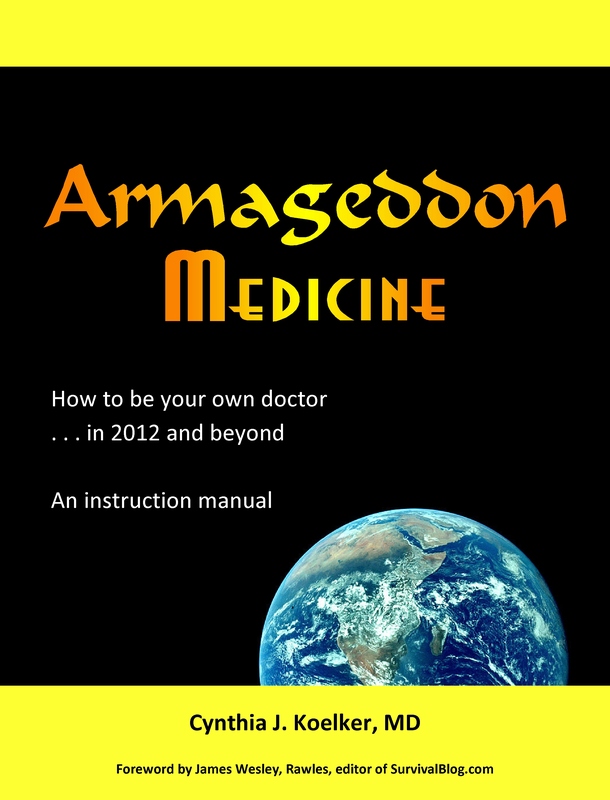 In one of the appendices in my book, Armageddon Medicine, How to be Your Own Doctor in 2012 and Beyond, I offer detailed suggestions for home, community, and professional medical kits. This entry was posted in Armageddon Medicine, Bookshelf, Diabetes Mellitus Type I, Diabetes Mellitus Type II, Equipment, Medical archives, Medical Supplies - see Supplies, Medical testing, Supplies - Medical and tagged Dealers-Retailers, First aid kit, Healthcare, Henry Schein, Medical equipment, Suppliers. Bookmark the permalink. I am a FNP-BC and have my own medical house call company here in SW Louisiana. I order all my things from AndaMeds, now called PractRx, great prices, good service, but you have to set up an account. I have found a lot of stuff on Amazon. In fact I’m amazed how much medical equipment and supplies you can get without prescriptions. Also on Ebay there are several companies who are selling, direct from the far east, surgical instruments. I have found that all of the items I have ordered are pretty reasonable and have good quality. Suture is another product that you can find on Amazon. Just ordered some IV solution from Shopmedvet.com w/o needing a prescript. Thanks for the good steer! Shopmedvet.com is a great place to stock up on the basics, and at great prices. Almost everything except medication can be bought without a prescription. As Doc Cindy has mentioned in other articles, “fish antibiotics” can be purchased on Amazon and other Internet sites. These are (at least the ones I’ve seen and could verify) human antibiotics — just repackaged and sold for use in aquariums. Antibiotics (including injectables) can also be purchased at many farm stores without a prescription. In TEOTWAWKI or a WROL situation, I would not hesitate to use these myself, or to help a family member. I’ve found the best prices frequently on http://www.ChinookMed.com.